Michal has managed first Scrum project in Czech Republic, and thus became first Scrum Master. His deep interest lies in agile management of technology companies. 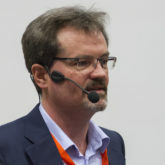 After successful reinvention of Actum company, he has founded Aguarra, a training and consulting company, to help people in Central Europe to deploy modern managerial techniques for their businesses and boost their agility and performance. He founded agile movement and community in Czech Republic and Slovakia and organize respected conferences. He loves to visit innovative companies worldwide for learning and inspiration. Michal holds master degree in Electrical Engineering by University of Zilina and gained his MBA at Open University Business School in Milton Keynes, UK.